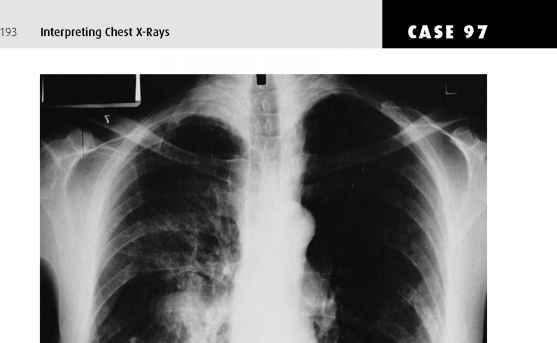 The CXR shows bilateral upper lobe peripheral consolidation typical of idiopathic chronic eosinophilic pneumonia. 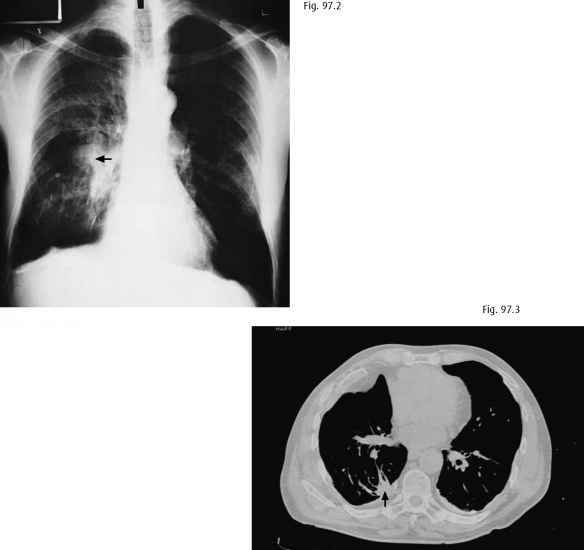 The CXR pattern is sometimes described as a radiographic negative of pulmonary edema as illustrated by the CT (Fig. 96.2). Other causes of pulmonary infiltrates and eosinophilia include tropic pulmonary eosinophilia (due to microfilaria), Loeffler's syndrome (due to parasites like ascaris), Churg-Strauss syndrome, allergic bronchopulmonary aspergillosis (ABPA), hypereosinophilic syndrome, drugs, and malignancy. 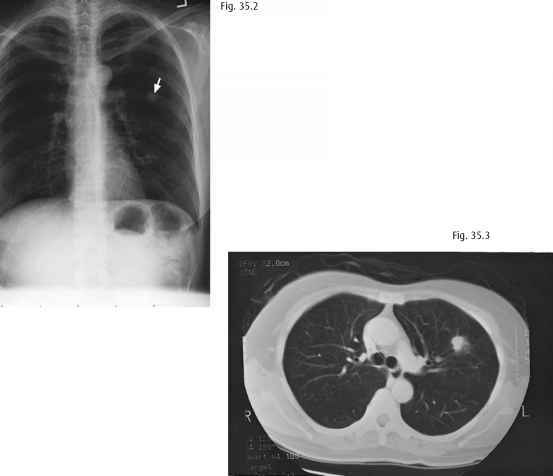 Idiopathic chronic eosinophilic pneumonia is very responsive to steroids. Case 97. This elderly patient was asymptomatic. He used to work on-board a ship as an electrician for many years. The CXR is shown (Fig. 97.1). How pneumonia affects the body?